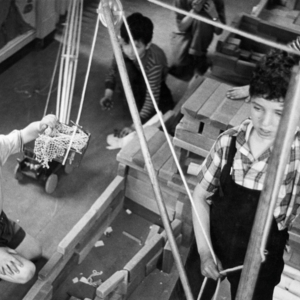 Children construct a pulley system in their classroom as part of a block building. 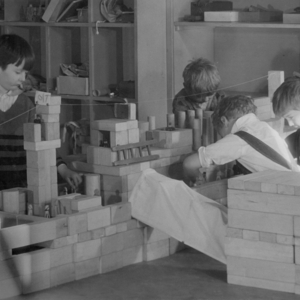 VIs work together constructing boats out of unit blocks. 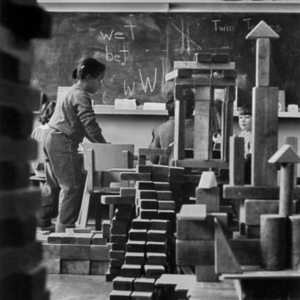 A girl constructs unit block towers with classmates. 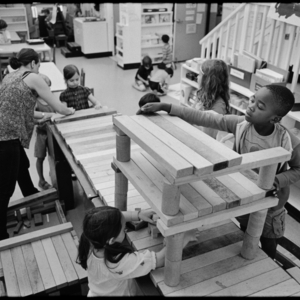 Students create a city in their classroom with unit blocks. 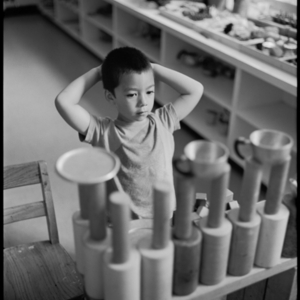 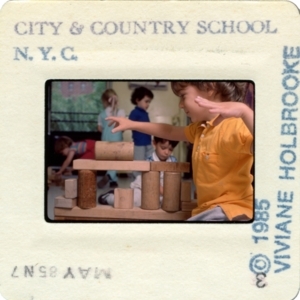 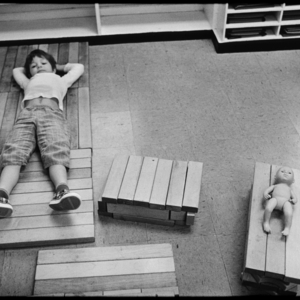 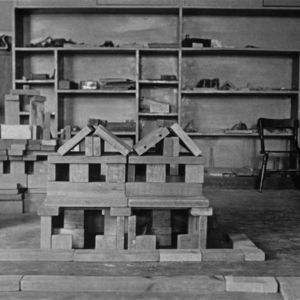 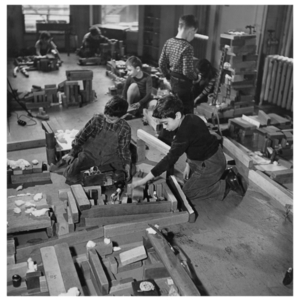 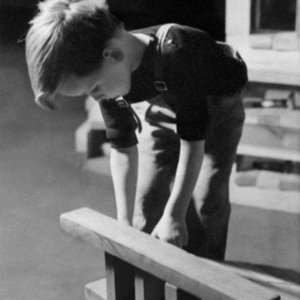 A child balances unit blocks while building in his classroom.